Posted: Wednesday, October 12, 2016. 9:11 am CST. 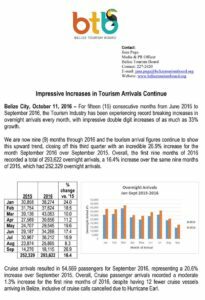 By BBN Staff: The largest foreign exchange earner in Belize, the tourism industry is the bright spot in a dreary economy. 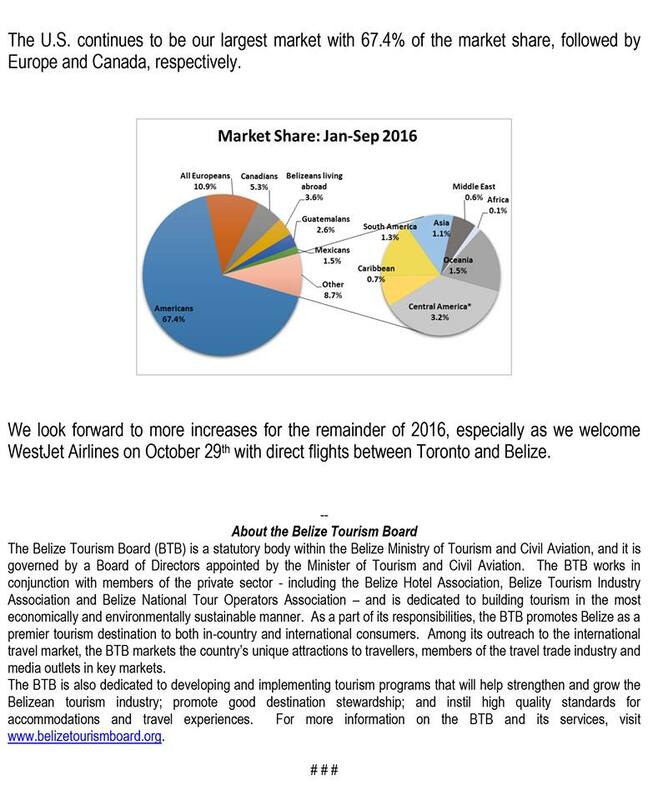 The reports of the Belize Tourism Board (BTB) reflect an overall increase in tourist arrivals since June of last year. The month of September saw a spectacular 26.9 percent increase in tourist arrivals when compared to the same month last year. 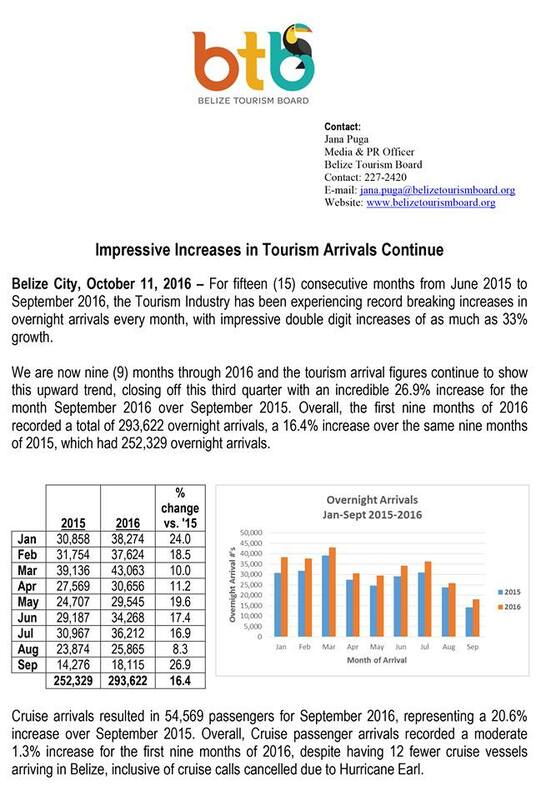 The reported overnight tourists has augmented 16.4 percent compared to last year. This is despite the fact that since Hurricane Earl, there has been a slight decrease in cruise ships coming to Belize. On October 29th, WestJet airlines will begin having direct flights from Toronto to Belize and the arrivals for this year are expected to increase.